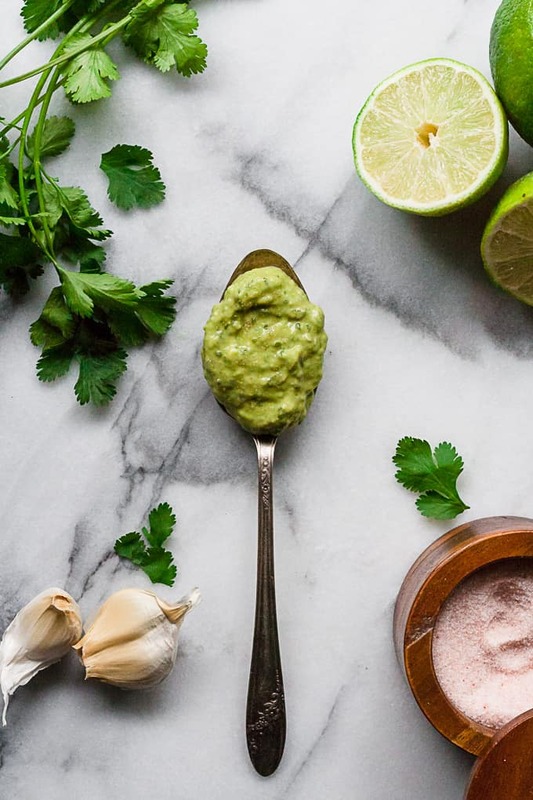 A creamy avocado cilantro lime sauce that is so good you can eat it by the spoonful! Perfect for topping grilled chicken, pulled pork lettuce wraps, or tuna salad! When I say ‘so good you can eat it by the spoonful‘, what I mean is that it is so good that I eat it by the spoonful… and have been every day for the last week. 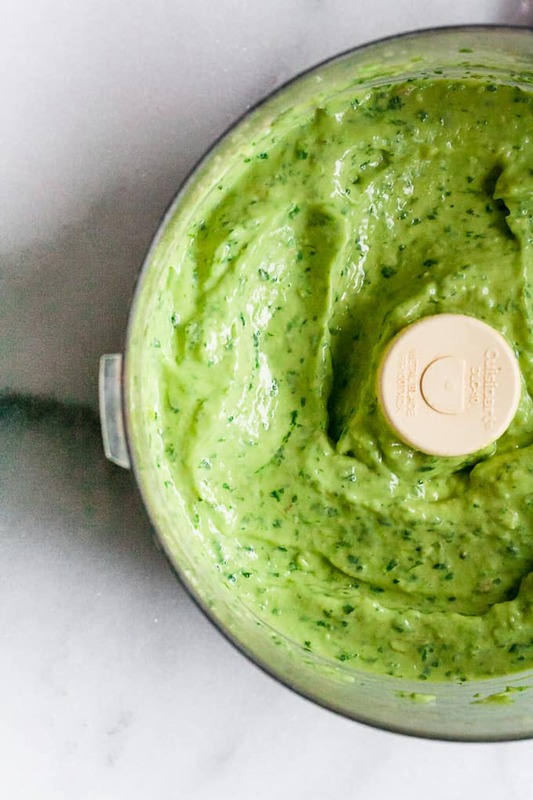 One of my all-time favorite condiments/sauces/dressing/dips is Pinch of Yum’s 5-Minute Magic Green Sauce. I’ve literally made it more times than I can count and it is good on EV.ER.Y.THING…. including right off the spoon. And it is Whole30-approved! but not AIP-approved. So I made a few tweaks, removed a few ingredients, and added my own spin. 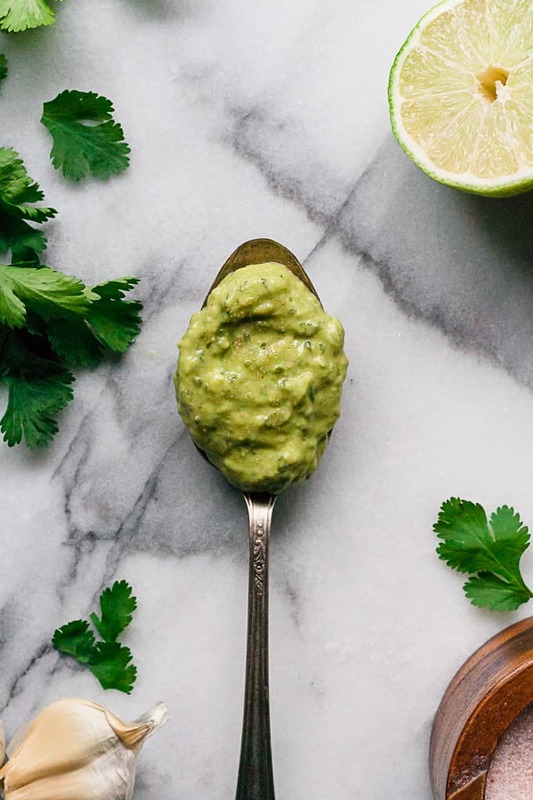 And I must say, my creamy avocado lime sauce is dang good. 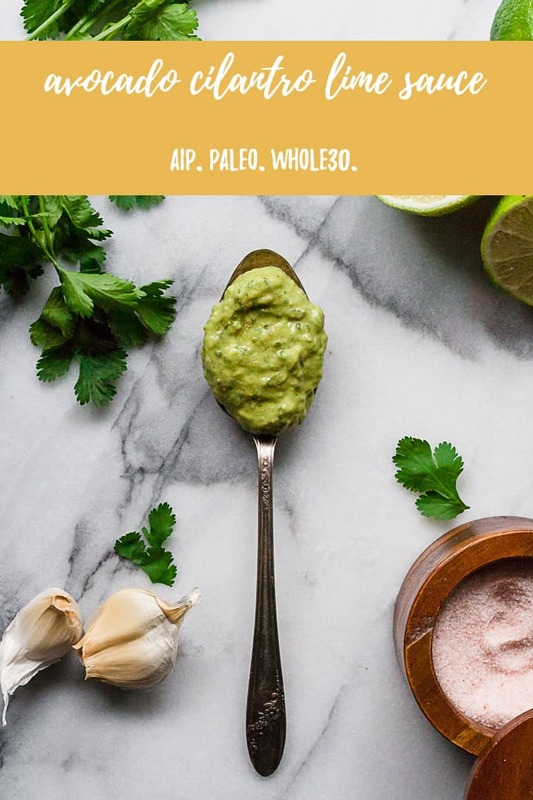 But maybe you don’t want to eat it right off the spoon… here are a few of my favorite ways to use this avocado cilantro lime sauce! Make a quick tuna salad and use this sauce as the dressing! Use it to top your favorite taco. Dunk some veggies in it. Add it to any breakfast bowl or frittata! 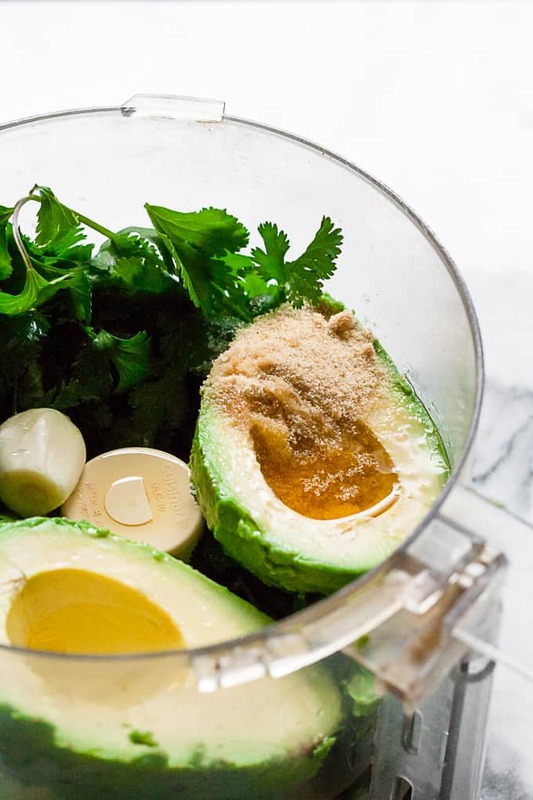 Add all ingredients to the bowl of your food processor and blend until combined.